As you all know by now, I’m a book junkie. I tend to read for at least 2-3 hours a day, and much of what I read is non-fiction. Over the years, I’ve packed so much gardening knowledge into my head that it has become harder and harder to find a book on plants that surprises me or makes me think differently. Over the last few years, I’ve gotten rather obsessed with corn. I know it’s the Great Big Evil Monoculture RoundUp-Ready Gen-Mod High-Fructose Devil Grass From Hell, but that’s not really corn’s fault. That’s our fault for letting scientists, corporations and politicians gain control of the food supply. As a kid, I once planted popcorn kernels and was amazed to see the corn plants that resulted. As an adult, I skipped right over sweet corn and bought Hickory King dent corn to try in my Tennessee garden. The huge stalks, amazing ears and incredible grits that resulted cemented my love for this versatile grain. This year, I grew four different varieties in four different locations. Anthony Boutard caught the same fever over a decade ago when he grew his first patch of heirloom corn on his organic farm. 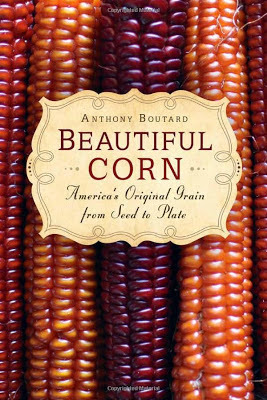 Beautiful Corn is a look at his experiences, plus a lot on the history and cultivation of this most precious of New World grains. Boutard delves into corn varieties, the rise of mechanization and the loss of America’s once-great seed-saving heritage. For those interested in history and agriculture, this book hits the spot. 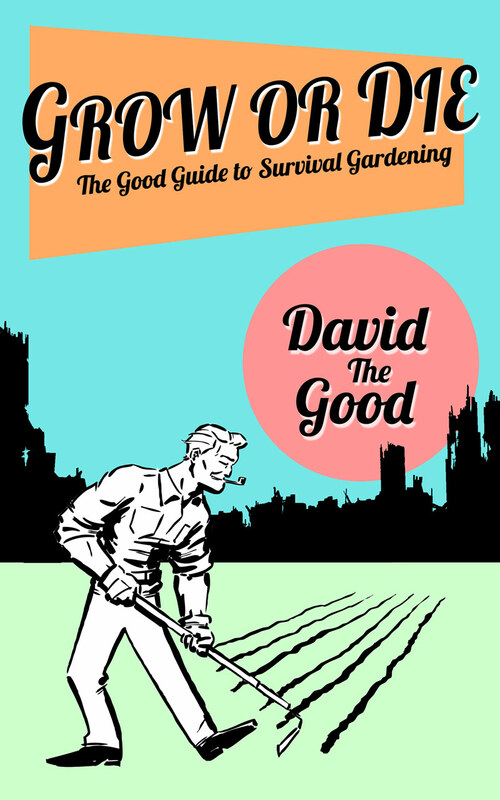 Yet, beyond that, this is also a book on growing corn. 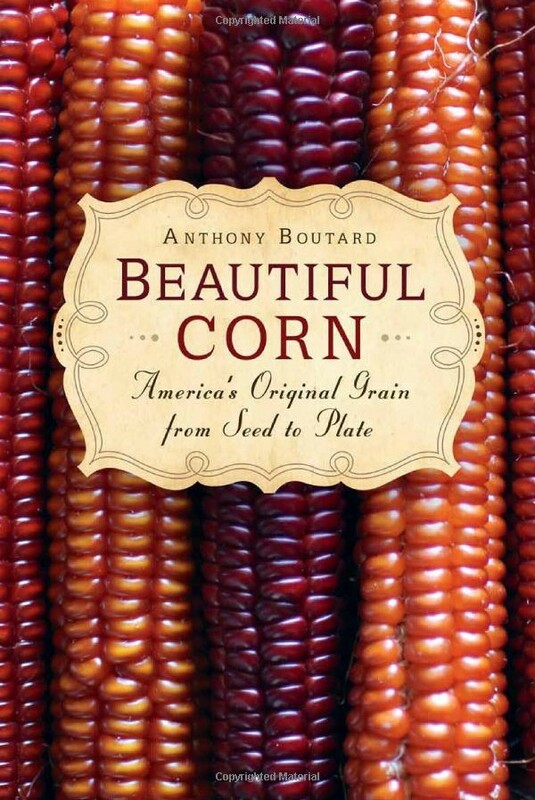 As the subtitle proclaims, Boutard shares how corn can be taken “from seed to plate” through the process of planting, growing, culling, harvesting, shucking, storage, shelling, milling and cooking. An interesting sub-plot on the intersection of Mexican and US culture flows through Beautiful Corn. Boutard’s farm workers are mostly immigrants from south of the border, and he shares their insight and experiments with corn throughout. A section I found quite interesting was his overview of popcorn and flint corn in chapter 6, followed by dent corn and flour corn in chapter 7. Overall, this is an engaging and entertaining book. Portions fly overhead into the realm of hard science… other portions delve into the earthy stories of the uneducated farmers and gardeners who saved seed and bred corn varieties through trial and error. The only mar on this otherwise excellent book is Boutard’s use of the universal she/her at points, steering into the edges of SJW territory and breaking the otherwise excellent prose. The final verdict? 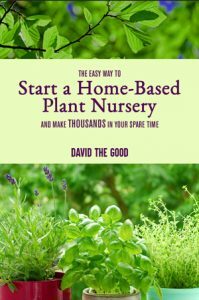 This is a good book for those rainy afternoons or sizzling summer days when you can’t make it out to work your patch of earth. Boutard’s love for corn is infectious – read Beautiful Corn and you’ll likely find yourself impulse buying some heirloom corn for next year’s garden. 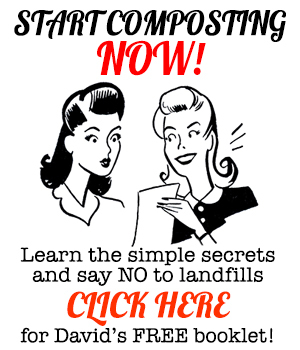 Where to find non-GMO seeds? I’m a book junkie, too. The sugar in corn is actually glucose chains that make up the starch molecules in it. Factories need to chemically process it to turn the glucose into fructose and turn it into a syrup. (Fructose is a lot sweeter than glucose.) That’s definitely NOT corn’s fault. No matter how good a natural food is, there’s always a way to process all that goodness out of it.